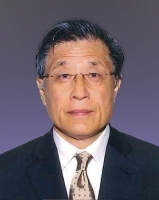 Dr Fung is Chairman of OCBC Wing Hang Bank and Director of Miramar Hotel and Investment Company Limited (Miramar Group). Dr Fung has staunchly supported the development of PolyU. He was Deputy Chairman of the PolyU Council and is currently Honorary Member of the PolyU Court. Dr Fung was appointed a Justice of the Peace by the HKSAR Government in 2008.